Wolfsburg (03 October 2015). Two Polo R WRCs are storming to the head of the field: Volkswagen has moved into first and third place on day two of the Rally France. Jari-Matti Latvala/Miikka Anttila (FIN/FIN) made up a good 25 seconds on the only two special stages to be run on Saturday – and climbed two positions in the process. The duo currently second in the FIA World Rally Championship (WRC) leapfrogged over Elfyn Evans/Daniel Barritt (GB/GB, M-Sport-Ford) to take a narrow lead of just two seconds. Andreas Mikkelsen and Ola Fløene (N/N) also gained almost 16 seconds over the course of the day’s 84.89 kilometres against the clock. Their Polo has improved from seventh place to third. 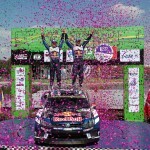 Sébastien Ogier/Julien Ingrassia (F/F) were denied the opportunity to produce a similarly impressive fightback on Saturday. After the defending champions and champions elect* had lost roughly 1.40 minutes due to a slow puncture on Friday, they were then handed a ten-minute penalty as a result of a problem shifting gear on the way to Parc Fermé, which required them to change the gearbox after the scheduled service late on Friday evening. Returning under Rally 2 regulations, they hit back by winning the final stage, which, at 48.46 kilometres, was the longest of the day. 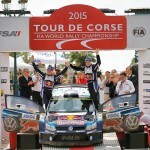 The rally on Corsica was again shortened by one stage on day two. This means the competitors have so far completed four special stages, totalling 150.44 kilometres, over the course of the first two days. 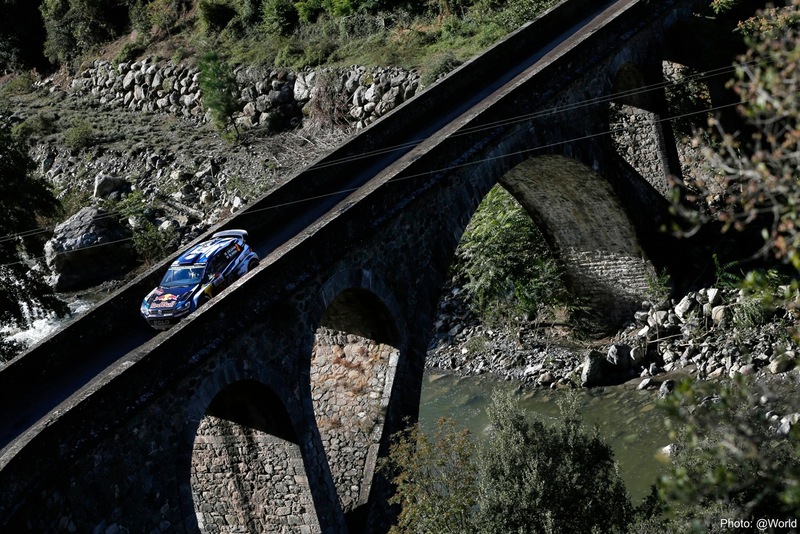 A further three special stages and 94.61 kilometres against the clock are scheduled for Sunday, before the eleventh round of the season reaches its conclusion in Ajaccio.